♥ 2007 "It Ain't Enough"
♥ The band's debut record, A Song Inside My Head, A Demon In My Bed, was released on May 25, 2007 under the independent label Cosmos Records. The first single off the record is Release Me and has appeared in a Saab commercial aired in Sweden, Norway, Poland, Spain, New Zealand, Australia, Ireland, France and the United Kingdom. "Release Me", peaked at #5 on Swedish music charts. Oh Laura won Grand Prix at International Sopot Festival on August 23, 2008 in Sopot, Poland The single Release Me was certified platinum by the Swedish IFPI in 2007. ♥ Frida Öhrn is one busy woman this year, right after presenting the newest album of her latest project Cookies N Beans "Go Tell The World" that has entered Top-20 of Swedish chart she turns to the project that has made her famous faraway outside of Sweden. 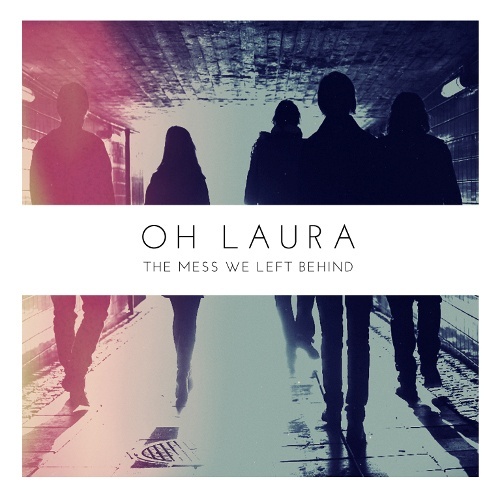 ♥ Oh Laura, the band you absolutely should know by their 2007 hit "Release Me", has prepared a wonderful gift for their fans releasing double CD "The Mess We Left Behind" that will incude not just brand new songs but also collection of rarities - demo-records, live-versions and previously unreleased stuff. You'll be able to also find UK version of "Release Me" on it.